Have you ever tried preparing Bonda from Brijal / Eggplant?. If not, try this time.. 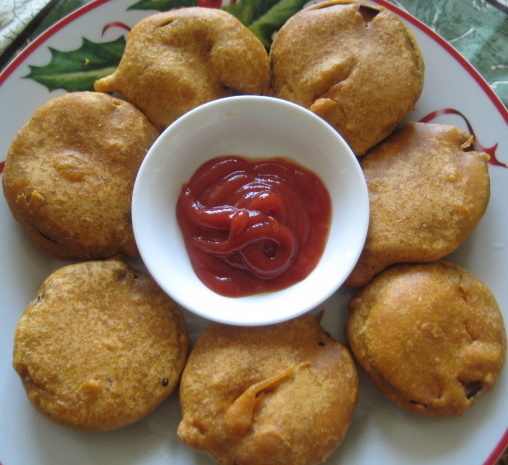 I had tasted Eggplant bonda at one of my uncles place, so credit goes to my chikkamma/ aunt. Its been a long since I took the pics, today I got muhurtham to post this recipe.The preparation is same as any other Bondas. You will definitely like it if you are a Bonda person( hope everybody likes) :). Give it a try...Have fun. Mix all the ingredients except Eggplant and Oil in a bowl. 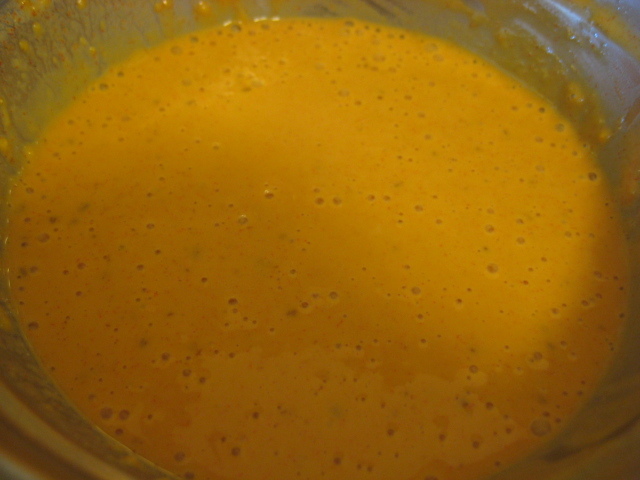 Add some water and mix into smooth batter ( Dosa batter consistency). 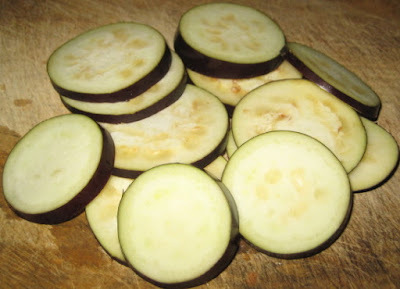 Cut the Eggplant into 1/4 inch round slices. In the mean while heat the Oil in a pan for deep frying. 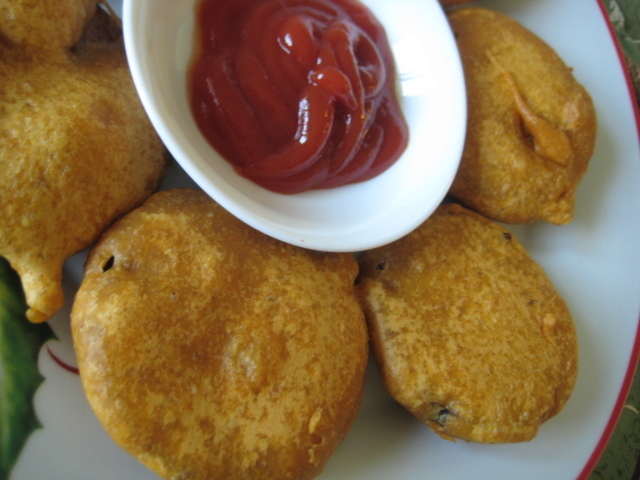 Dip the Eggplant slice in the batter and deep fry in a medium heat until colour changes to light brown.